Manufacturer of a wide range of products which include water bath. 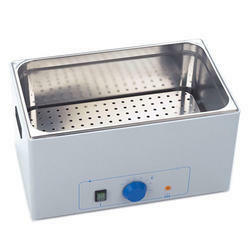 We are one of the prominent manufacturers and suppliers of decisively built Water Bath. Greatly utilized as a part of tissue society applications, development perception concentrates on, maturation examination and protein response thinks about, these water showers are generally requested in research facilities. Made accessible in a few models, these water showers are commended for their intense development and rough development.